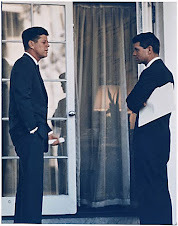 DALLAS, Texas (CNN) -- The FBI has seized a two-page, handwritten letter of condolence sent by Jacqueline Kennedy to the widow of Robert F. Kennedy shortly after he was assassinated in 1968. The family contends the letter was stolen. "We're trying to determine who the legal owner is," said Mark White, a spokesman for the FBI. "There's still an ongoing investigation." The letter's path fromthe Virginia home of Robert Kennedy's widow,Ethel Kennedy, to a locked evidence vault in the Dallas field office of the FBI is described in a six-page affidavit filed last month in U.S. District Court in the Northern District of Texas by Special Agent John Skillestad. It says Max Kennedy, the son of Ethel and Robert, alerted the bureau in July 2006 to the letter's pending auction at Heritage Galleries and Auctioneers Galleries in Dallas. 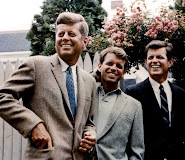 Max Kennedy, who said he is the sole person in charge of his parents' papers, "stated that he had not given authority to sell, give, or donate any papers of Ethel or Robert Kennedy to anyone," the affidavit says. After the gallery pulled the letter from its auction, the FBI traced its provenance to Thomas Nuckols, who told authorities he had found it among the papers left by his father, Russell Thomas Nuckols, a plumber who died in 1999. "Thomas Nuckols said he was dumbfounded upon discovery of the letter because he had never seen it before and did not know how it came into his father's possession," the affidavit says. 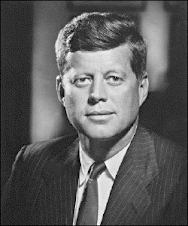 Nuckols said he contacted the Kennedy Library in Boston, Massachusetts, but "the person on the telephone did not seem too interested in the letter" and referred him to a Connecticut collector, who bought it for $6,000, the affidavit says. CNN has not been able to reach Nuckols. The letter was then resold to several other collectors, and was at one time valued at as much as $30,000 before it wound up with the Dallas auctioneer, who has cooperated with authorities, the FBI said. Last October, the FBI spoke with Ethel Kennedy, who said she remembers Russell Thomas Nuckols as a plumber who worked at the Kennedy house in Virginia during the 1960s and 1970s, the affidavit says. The 81-year-old widow of the former senator and attorney general said she "never gave the letter to anyone to keep and under no circumstances would anyone have the authority to transfer ownership of the letter to anyone." The affidavit concludes that the letter "is considered as a stolen good." Once the rightful owner is determined, it will be given to that person, FBI spokesman White said. "I don't know how long it will take." 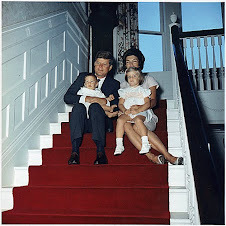 Jacqueline Kennedy was the widow of President John F. Kennedy, who was assassinated in 1963. In the letter she mentions "Stas," an apparent reference to Stanislas Radziwill, her brother-in-law. Jacqueline Kennedy Onassis died in 1994. The letter is not dated, but appears to have been written shortly after Robert Kennedy died on June 6, 1968, the victim of an assassin's bullet. The Dallas News printed a copy of the letter, which White confirmed is authentic.